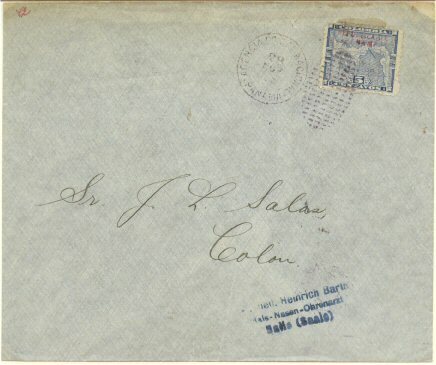 5c tied CDS on commercial cover (Isaac Brandon & Bros) sent from Panama to Colon on 28 of November of 1903, only 25 days after Independence Day. Local usage is very unusual for this issue. Many of the local usages of this issue are philatelic.